In the Illinois Groundwater Protection Act of 1987 (PA 85-863), the state legislature mandated that the Illinois Department of Energy and Natural Resources (DENR) conduct an "ongoing program of basic and applied research relating to groundwater," including an evaluation of pesticide impacts upon groundwater. "Such evaluation shall include the general location and extent of any contamination of groundwaters resulting from pesticide use. . . . Priority shall begven to those areas of the State where pesticides are utilized most intensively." In response to this mandate, the Illinois State Water Survey (ISWS) and the Illinois State Geological Survey (ISGS), divisions of DENR, developed a plan to assess the occurrence of agricultural chemicals in rural, private wells on a statewide basis (McKenna et al. 1989). In response to the concerns regarding the proposed statewide survey, a separate pilot study was designed, based on the recommended statewide survey, to produce tangible, documented results of well-water sampling and to demonstrate the validity of the survey design.The legislative mandate addressed the pesticide impacts on groundwater. The proposed statewide plan and the pilot study will focus on groundwater drawn from rural, private wells. 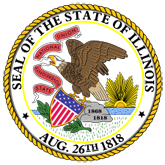 This approach will maximize data acquisition on the potential for exposure of the rural residents of Illinois to agricultural chemicals (pesticides and nitrogen fertilizers) through drinking water; it will also minimize sample collection costs. Inferences drawn from this project are valid for groundwater drawn from rural, private wells and not from other sources. 1. Pilot study: agricultural chemicals in rural, private wells in Illinois (20060928190620_ISWSCOOP-14.pdf).